Priory Electrical (NE) Ltd - Electrician based in North Shields, Tyne and Wear. Invoice history based on 103 reviews. 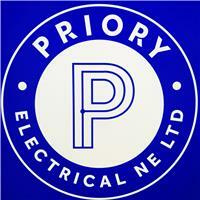 At PRIORY ELECTRICAL (NE) Ltd we're happy to offer any electrical service that you might need. Feel free to contact us with any electrical request you might have.